President Bill Clinton joined nearly 1,000 guests – including 700 school children, family members of Holocaust survivors, members of the Quapaw Tribe, Japanese-Americans who were interned during World War II, and relatives of the Little Rock Nine - who gathered on the grounds of the Clinton Presidential Center in Little Rock, Arkansas, to celebrate the opening of the Center’s newest permanent installation, The Anne Frank Tree. A partnership between the Clinton Foundation and Sisterhood of Congregation B’nai Israel, and in conjunction with the Anne Frank Center USA, the new installation conveys the complex history of human rights in Arkansas and throughout the world. “This exhibit is a tribute to the resiliency of the human spirit and a poignant reminder that we are all interconnected individuals who share a common humanity,” said President Bill Clinton. Other speakers on today’s program included Lexi Elenzweig, president of Federation of Temple Youth at Congregation B’nai Israel; Ronald Leopold, executive director of the Anne Frank House; and Stephanie S. Streett, executive director of the Clinton Foundation. The centerpiece of the exhibit is a young chestnut tree that was awarded to the Center by the Anne Frank Center USA’s “Sapling Project” in 2009. The sapling was taken from the white horse chestnut tree that stood outside Anne Frank’s Secret Annex when she and her family were in hiding from the Nazis during World War II. "Anne Frank took great solace from the horse chestnut tree that grew outside the secret annex on the Prinsengracht in Amsterdam, where she, her family and four others were in hiding during World War II. To Anne, it represented life in the face of death, the freedom to blossom and prosper," Ronald Leopold, executive director of the Anne Frank House, said. The Center’s installation consists of five framed, etched glass panels – arranged to evoke the feeling of being inside a room – surrounded by complementary natural landscaping. The two front panels feature quotes from Anne Frank and President Clinton. The three additional panels convey the complex history of human rights in Arkansas through descriptions of the Indian Removal Act of 1830, the internment of Japanese Americans during World War II, and the Little Rock Central High School desegregation crisis of 1957. These panels will feature quotes from Chief Heckaton, hereditary chief of the Quapaw during Arkansas’s Indian Removal; George Takei, Japanese-American actor who was interned at the Rohwer Relocation Center in Desha County, Arkansas, in 1942; and Melba Patillo Beals, member of the Little Rock Nine. In collaboration with the Clinton Foundation, Little Rock landscape architect Cinde Drilling and Ralph Appelbaum Associates, exhibit designer for both the Center and The National Holocaust Museum, assisted in the design of the exhibit. The installation has been made possible thanks to the support of the Ben J. Altheimer Charitable Foundation and other generous partners. The Center’s sapling is currently housed in a local nursery where it is acclimating to Arkansas’s environment. And although it will be present during the ceremony, it will be returned to the nursery where it will be cared for until it has matured and can thrive in its new home, located on the grounds of the Park. A similar chestnut tree will be temporarily planted in its place until the Anne Frank tree can be permanently transplanted. The William J. Clinton Presidential Center and Park is a world-class educational and cultural venue offering a variety of special events, exhibitions, educational programs, and lectures throughout the year. Located on the banks of the Arkansas River in Little Rock, Arkansas, the Center has welcomed more than 3.7 million visitors from around the world since opening in 2004. Most importantly, the Clinton Center is a reflection of the work – past, present, and future – of the 42nd President of the United States. Learn more at http://www.clintonpresidentialcenter.org, on Facebook at http://www.Facebook.com/ClintonCenter, and @ClintonCenter on Twitter and Instagram. Congregation B’nai Israel is the oldest Reform Jewish congregation west of the Mississippi River; it will celebrate the 150th anniversary of its founding in 2016. Its Sisterhood has always been socially involved, supporting a myriad of projects that serve the congregation, the community, and the national Sisterhood organization. Sisterhood members were involved with the Women’s Emergency Committee during the Central High School desegregation crisis and the founding of the Volunteers in Public Schools (VIPS) initiative. Founded by Anne’s father Otto Frank in 1959, The Anne Frank Center USA uses the diary and spirit of Anne Frank as unique tools to advance her legacy, to educate young people and communities in North America about the dangers of intolerance, antisemitism, racism and discrimination, and to inspire the next generation to build a world based on equal rights and mutual respect. Through its permanent exhibition, as well as a variety of innovative education programs and exhibitions, the Center uses Anne Frank as a role model for today. Her insights and courage continue to inspire students, educators and citizens more than 70 years after her diary was first published. 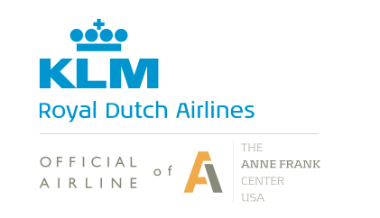 The Anne Frank Center USA Sapling Project is made possible, in part, by public funds from the Ministry of Foreign Affairs of the Kingdom of the Netherlands, The Children’s Museum of Indianapolis, and KLM Royal Dutch airlines, the official airline of The Anne Frank Center USA. 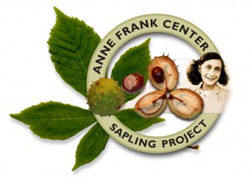 Click here for more information on The Sapling Project and The Anne Frank Center USA. 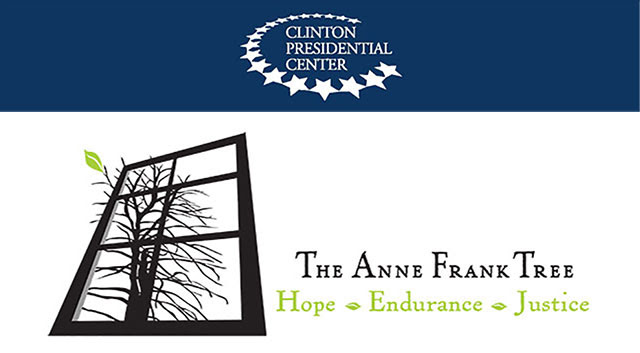 Visit the Center on Facebook at http://www.facebook.com/AnneFrankCenterUSA, @AnneFrankCenter on Twitter, and @AnneFrankCenterUSA on Instagram.